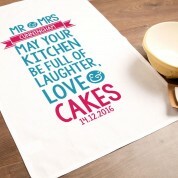 A bright and colourful tea towel for a happy couple celebrating their anniversary. It would also make a wonderful gift for a newly married couple. 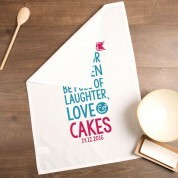 The bold typographic design reads the couples names in a pink banner followed by blue text that reads “ may your kitchen be full of laughter, love & cakes”. It also includes a special date – this can be the anniversary date or current year. It makes the perfect little keepsake for any occasion, especially as a stocking filler. 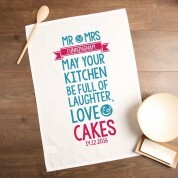 The happy couple will love to show it off when entertaining guests. 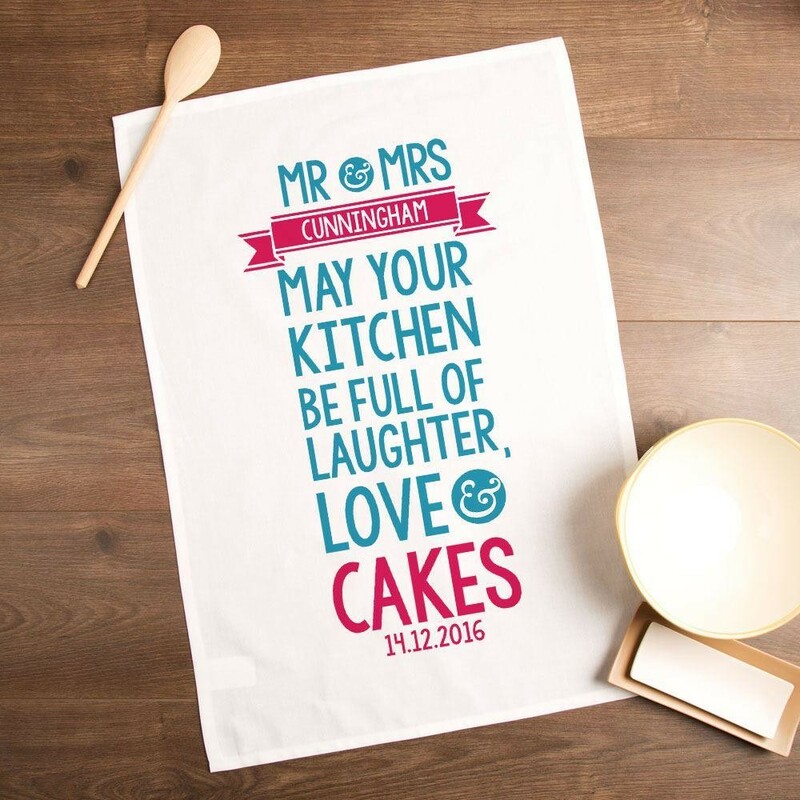 Our tea towels are carefully designed, personalised, printed and packed in our factory to ensure the best quality to our customers. A one of a kind gift with a personal touch.